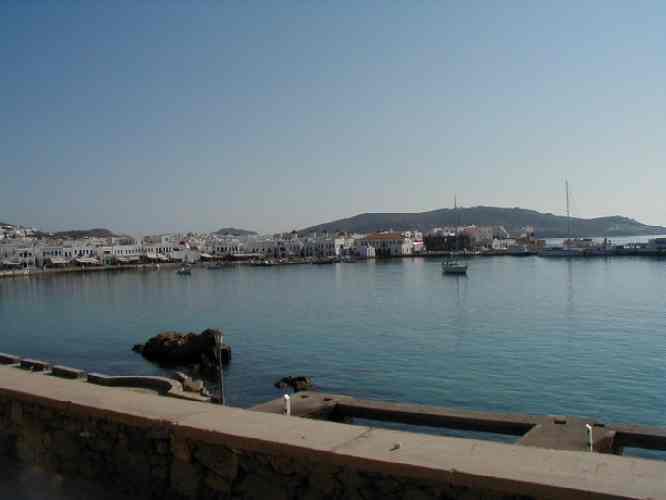 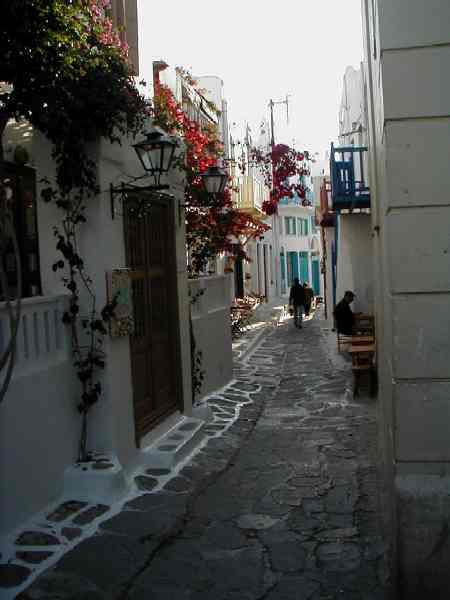 Mykonos harbor and a typical narrow street in the town. 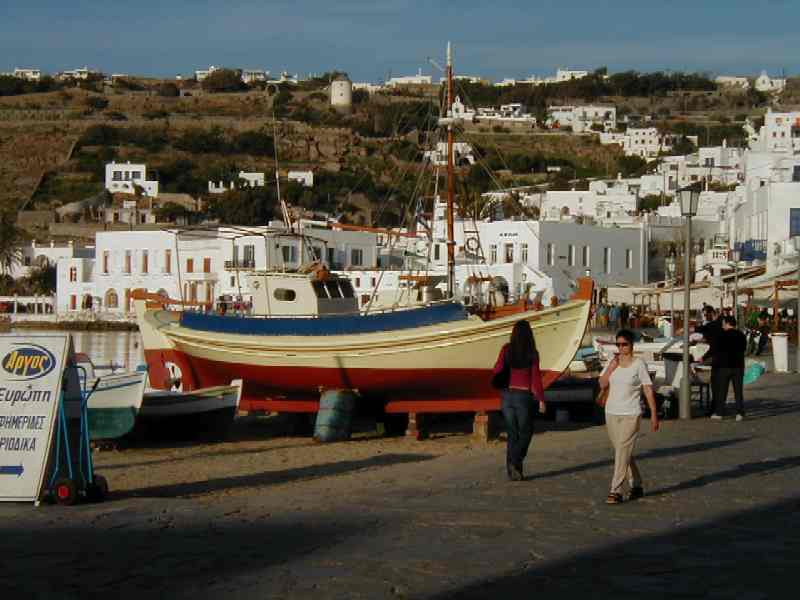 Left photo is of a boat in the harbor at Mykonos. 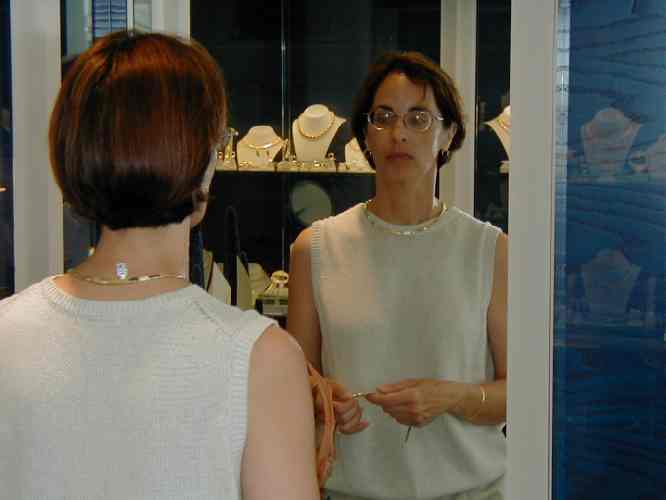 The right photo is Terrie shopping for jewelry. 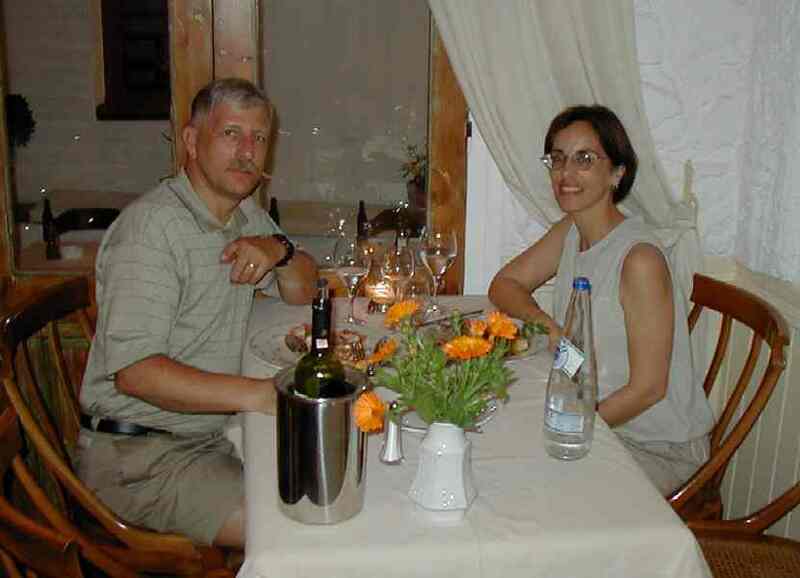 Andy and Terrie enjoying a very good supper on Mykonos.